← Greatly exceed early customer expectations. There is a relationship between time and money that is more complex than most managers think. Fixed overhead for salaries, rent, equipment leases and more make up the majority of the “burn rate” (monthly expenses) for most companies. Since this number is budgeted and pre-authorized, managers tend to focus upon other things such as sales, marketing and product development issues. There is an art to efficient management of a process, whether that is the process of bringing a product to market from R&D to production or developing a new product’s launch program. What most managers miss is that every month cut from the time it takes to perform such tasks cuts the cost by the value of a month’s worth of fixed overhead or burn. Although young companies rarely measure profitability this repeatedly, more mature companies usually can bring from five to ten percent of revenues to the bottom line in the form of net profit. Ignoring cost of product for a moment to make a point, saving a month’s fixed overhead by making processes more efficient, could easily double profits for the year. That relationship between fixed overhead and production time is as critical as any other factor in success of a young company. Many of the start-ups my various angel funds have financed died a slow death, not because of poor concept but because of poor execution, wasting fixed overhead and draining the financial resources from the company coffers. [Email readers, continue here…] In the technology sector where I most often play, extended unplanned software development cycles account for the majority of these corporate failures. We often accept that development schedules for young companies are almost always too optimistic. But we investors often allow too little slack in our estimates as well. The great majority of young companies developing complex products such as semiconductor-based products, new software-based systems and technologies based upon new processes greatly underestimate the time needed to bring the product to marketable condition. So the CEO comes back “to the well”, asking for more money from the investors to complete the project. It is not a strong bargaining position for the CEO to ask for money to complete a product promised for completion with the previous round of funding. And professional investors often penalize the company with lower-priced down rounds or expensive loans as a result. I have one story that remains as vivid in my mind as when it happened several years ago. Helping the founder create a company and build a much-needed product in an industry I knew very well, I served as chairman for the newly formed company, and along with my several rounds of early investment, led rounds of other angel investors in what I knew as a successful opportunity to fill a need in an industry I understood. The company grew to be well known in this limited niche and was operating at slightly above breakeven, when the Board and CEO decided to seek venture investment from what we hoped would be a first tier VC firm in Silicon Valley. And we were able to secure that investment along with a partner from that firm joining our board. It did not take long for the partner to become impatient with the relatively small size of the opportunity. Dreaming of a company many times the size, he led the board to approve a complete reversal of course, even stating that the company should ignore the existing market niche completely and redesign the product for the broad Fortune 500 corporate market. Every one of us on the board expressed our concern that the time to make these product changes and position for the new, broader market, would eat away all of the company’s capital. Promising the full weight of his VC firm’s resources, the board voted to make the change against the best judgment of those of us who knew the original market niche so well and thought that there was growth to spare in that niche alone. We will revisit the relationship between time and money again in future insights. This entry was posted in Finding your ideal niche, Growth!, Protecting the business. Bookmark the permalink. 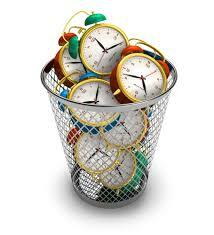 1 Response to Wasted time is money lost. Even when time to market is not that big a factor, bowing to an investor / board member’s insistence on ignoring a proven profitable market for the pipe dream of growing the company in a different market space is a recipe for disaster. I’ve been there twice.